Strips of Joselito Jamon Iberico Bellota over layers of Mahon and Manchego cheese, sandwiched by 250g of prime Wagyu Ribeye, coated, breaded then pan-fried, for an oozing, mouth-watering, deliciousness. Make sure to share it with family! 100% Tinta de Toro. D.O. Toro. Bright and varied range of aromas with predominance of black fruit, notes of iron, cocoa, liquorice and aromatic herbs. Lush, consistent, very tasty, with crisp but fresh tannins. By legendary winemaker Mariano Garcia and sons Alberto and Eduardo. 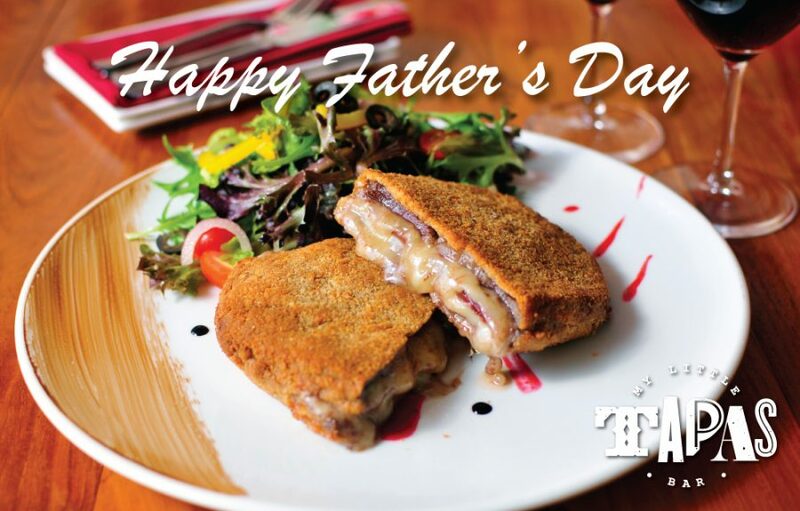 All Dads dining in with us this Friday and Saturday will receive a complimentary drink!